Damp problem – why choose us? Damp in UK households is a common problem which, if left untreated, can cause serious structural defects, damage to interior decoration, an unpleasant ‘musty’ smell and associated health issues. Damp can come in many forms and, if not dealt with, can cause irreversible damage which can be both dangerous and extremely expensive. It is important that when a damp problem is present you act quickly to protect both your home and your health! Our team have over 30 years experience in the diagnosis and treatment of damp issues. 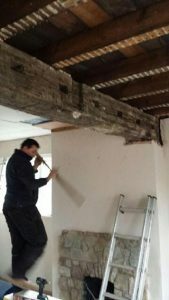 Damp Solutions are specialists in dealing with Condensation, Rising Damp, Penetrating Damp, Structural Damp, Woodworm, Dry/Wet Rot, re-plastering, Basement waterproofing and cellar/basement conversions. From enquiry to installation our professional team will take care of everything for you to ensure the process runs smoothly and efficiently. Damp Solutions (preservation) work with both homeowners and commercial customers such as letting agents, estate agents, Housing Associations, Councils, Property Management Companies to provide a professional, prompt and friendly service to advise on any damp related issues and eliminate the problem. A friendly and professionally run office that will deal with your needs 9am -5pm Monday – Friday. Free of charge no obligation surveys carried out by fully qualified surveyors (subject to T&C’s). A 20 year written guarantee on all works carried out. Damp Solutions (preservation) aim to offer a logical and honest approach and take time to explain the problem to our customers to put their mind at ease and reassure that we offer the best possible solution to any damp issue that we are faced with. See what our customers have to say about our service .. read more. If you have a Damp Problem you are concerned about and you are looking for a trustworthy, professional and reputable company to resolve this issue, we can help! Call our office on 0800 500 3140 to book a free no obligation survey (subject to T&C’s). Homeowners beware….condensation season is here! Solving damp issues whilst summer is still here! Delivering damp proofing to Manchester, Liverpool & Merseyside, Sheffield and Leeds, from our head office in Cheshire.